Translation is an alteration of the translation by Rev. John Mason Neale. Source: Rev. R. R. Chope, et al., eds., The Congregational Hymn & Tune Book (London: William Mackenzie, 1862), Hymn 4. And hear us when to Thee we call. Meek Offspring of the Virgin's womb. And things celestial, Lord, alone. Sheet Music for "Hymn 4" arranged by H. S. Irons from Rev. 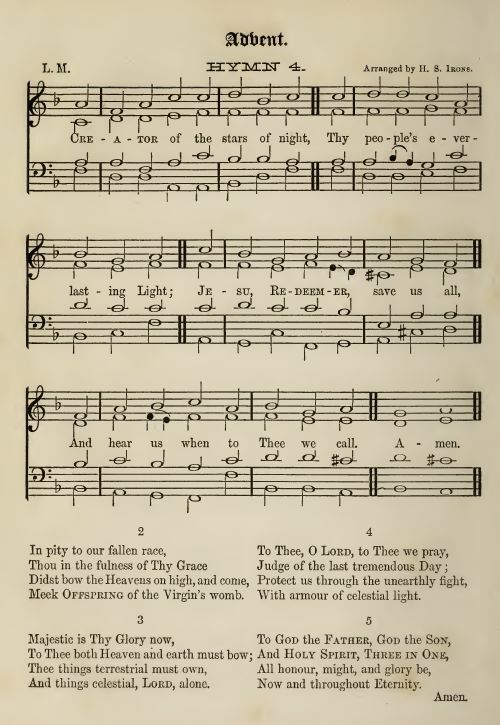 R. R. Chope, et al., eds., The Congregational Hymn & Tune Book (London: William Mackenzie, 1862), Hymn 4.